Life is hard. Each of us face problems on a daily basis that often seem overwhelming and insoluble. 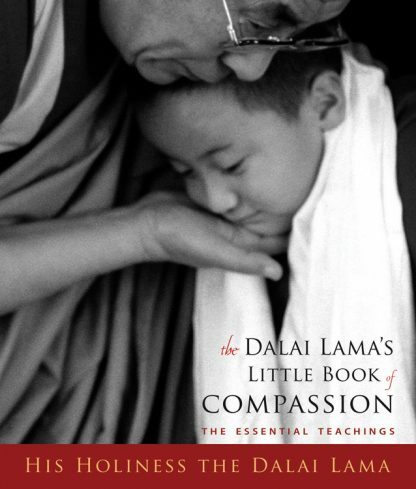 In The Dalai Lama�s Little Book of Compassion, the Dalai Lama tells us that while suffering is a given, we can overcome it by taking the path of compassion. In seven concise chapters, His Holiness explores the way of compassion by sharing his thoughts on contentment, joy, living well, facing death, dealing with anger, giving and receiving, and the necessity of interfaith cooperation. In addition to these short essays on specific topics, the Dalai Lama candidly responds to questions from students from around the world. He offers profound insights into the current ecological crisis, the political problems in Tibet, the nature of suffering, and much more. This small hardcover is a charming gift for all occasions and a devotional gem, ideal for those interested in the spiritual insight of one of today's great teachers.